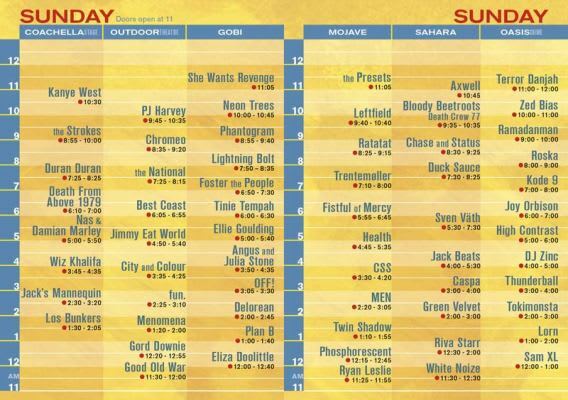 Coachella has just announced set times for the three-day festival taking place April 15-17 in Indio, CA. The concert will features headlining acts like The Strokes, Arcade Fire and Kanye West. Doors open at 11:00 a.m. every day, so be sure to get your spot early. Check the set times for Friday and Saturday over at their site.